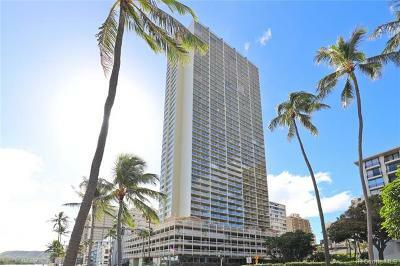 Island Colony was built in 1979 and is 43 stories tall with 745 units total. 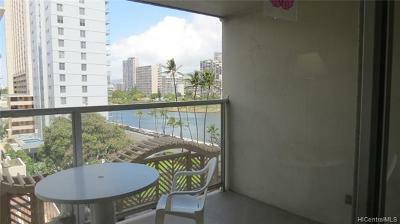 Condos are a mix of short term vacation rentals and long term rentals. 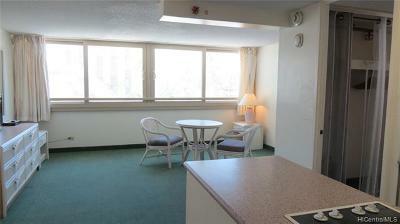 Island Colony has studios and one bedroom units. 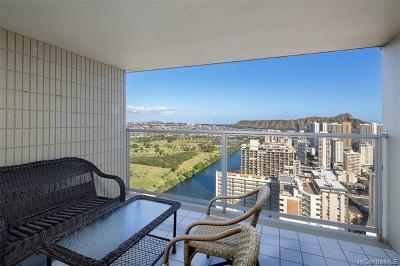 The units feature lanais with approximately 100 square feet of space to enjoy Hawaii's sunny weather. 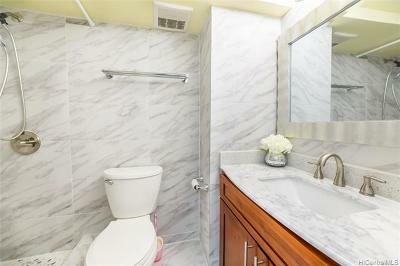 Amenities at Island Colony include a swimming pool, whirlpool, sauna, patio area and trash chutes. Five elevators ensure prompt service of residents and guests to their units. A community laundry is located on the sixth floor. Units for sale do not include parking spaces, however guests can rent parking stalls at the front desk or park on the street. 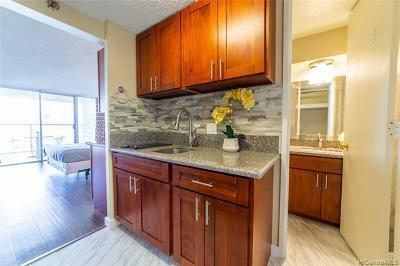 If you're looking for an investment property that's legal for vacation rentals, this is a good one! 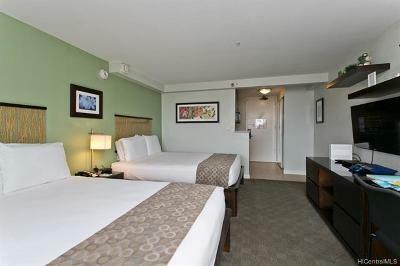 On several occasions we've heard guests mention how much they like staying at Island Colony. 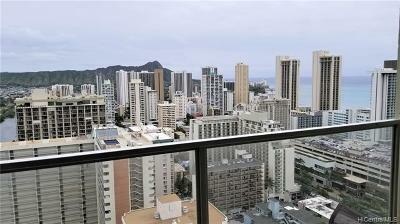 Room rates are affordable, it's a good location and it has nice views of Waikiki and Diamond Head. 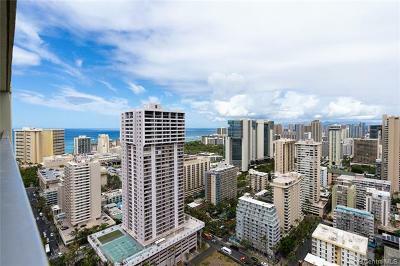 Island Colony is located at the corner of Ala Wai Boulevard and Seaside Avenue in Waikiki. 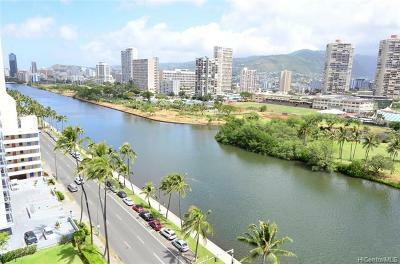 Island Colony was originally a leasehold property. Most owners have purchased the fee simple interest. The listings shown here are fee simple. Please contact us for information about leasehold listings.